Using Ubuntu as a leadership philosophy requires that leaders inspire others by example. Adopt the values of honesty, sincerity, truthfulness, compassion, empathy, dignity and respect for others. We should not expect other to exhibit ethical behaviour if we can’t ourselves demonstrate it. Find and make your role to further the purpose of building social value. A vision for the future that offers hope, direction, opportunities, responsibilities and challenges for everyone through multiple points of view and diversity of perspective. Searching for opportunities to start transformation by enabling people to realise their potential and discover resources previously not accessible to them. A belief in the interconnectedness and interdependency of humanity, we live in a delicate web of interconnectedness with each other and the environment. Accepting our responsibility to maintain this delicate web. Community involvement, teamwork and an enabling environment foster solidarity and a spirit of working together toward the same purpose and the good of the community. 6 Continuous development to meet the needs of a changing world. 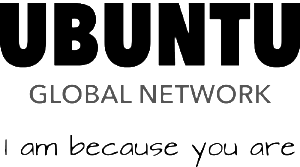 The Ubuntu Global Network fosters a continuous development together with a strong spirit of compassion, reciprocity and dignity. It challenges people to search for opportunities and creative innovation not only for the individual but for everyone. A world which embraces the Ubuntu philosophy, emphasising the importance of community, solidarity, caring, sharing, harmony, hospitality, respect and responsiveness; a world where we recognise the genuine otherness of all people. Develop a global network inspired by the Ubuntu philosophy that contributes to the transformation of society through activities, actions and projects working with individuals in their communities. • Share good practices, successful approaches and experiences between network partners in order to enhance the quality of current work. • Promote social entrepreneurship in order to generate social changes.